Many people believe that the biggest chance for Africa to develop is through the internet. Internet penetration statistics show that traditional economy success determines the proportion of internet access and usage. South Africa, Egypt, Nigeria, and Kenya have a heavy investment in ICT usable infrastructure. These countries alone make up more than 50% of internet users in Africa. Sadly places like Ethiopia or Congo have a dismally small number of internet users. Nonetheless, most countries have been making efforts to increase internet usage and have active domain registries. Domain registration is the process to register a domain name that identifies one or more internet protocol (IP) addresses with an easy to remember the name. Such names are also practical to use in URLs for identification of particular pages . Registration is by a domain registrar, a commercial entity or organization that reserves internet domain names. These registrars work with ICANN (Internet Corporation for Assigned Names and Numbers) as it has the authority to manage development and architecture of domain name space and the top level. Kenya has authorized Kenyan Network Information Centre (KENIC) a non-profit organization established in 2000 to manage and operate the country’s domain dot ke. It is as a result of public-private sector initiative to operate, manage and promote .ke to serve the interests of Kenyan and global internet community in line with ICANN policies. University of Agostinho Neto College of Engineering is a body with authority to perform.AO registry. This ccTLD introduced in 1995 is for Angolan affiliated entities. BW is the official Botswana domain extension introduced in 1993 to serve entities affiliated with the country. The University of Botswana manages the administration while application procession is through accredited registrars. Someone can register .ao domain from any point in the world. Registrations for .bw level have stopped, and registered entities have to migrate within 3 years grace period. The official domain for Cameroon is CM. It has introduced in 1995 for entities with a connection to the country. Camtel is the authorized managing agency but accredited registrars process applications. Registration is open to all the entities and does not require local presence. Democratic Republic of Congo official domain extension is .cd. It was introduced in 1997. CDNIC (Congolese Network Information Centre) carries out the registry while accredited registrars process the application. Ugandan official domain is .ug. It was introduced to serve entities associated with Uganda. Registry for a domain is done at Uganda Online while accredited registrars process registration. Applications can register without producing official documents as there are no restrictions although it is illegal to use a .ug domain extension for illegal activities the domain must operate in Uganda. 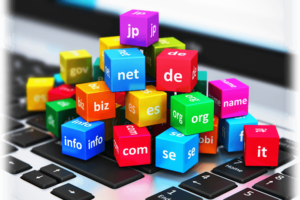 NIC.DZ manages registration of domain names under country ccTLD .dz . The formation was in 1995, but ICANN registration became operational in 1995. All applying entities must have representation in Algerian borders and produce a document to support property rights in the country. NIC/DZ delegates registration and management of domains to entities. Nigeria Internet Registration Association (NIRA) administers top level domain name .ng and has the right to register a premium top level domain under dot.ng such as google.ng. 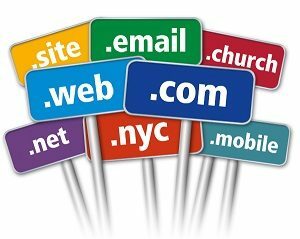 It was established in 2005 and assigns certified registrars the task of procession application for second-level domains. It classifies registrars into standard, silver, gold and platinum levels. Registration is open for all and does not a require presence in Nigeria. 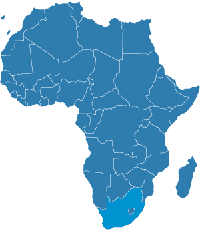 South Africa domain name is .za. It is under management and regulation of .za Domain Name Authority (ZADNA) that was established through an act of parliament in 2002 to take over the administration of namespace from Uninet. It began operating in 2004. It now runs as a non-profit company accountable to the department of Telecommunications and Postal Services but without government funding. Over 80% of the domains in the region are under .za as it is highly structured.